I've used Tomtom Rider to plot my route and booked the ferry & hotels already. My typical day covers about 250 miles/6 hours according to tomtom set to scenic route and avoiding toll roads. For example, I am travelling through the alps/switzerland mid July, will I need to take my jacket & pants liners? ie. will it be OK to travel through and still keep my nuts as i'd rather leave them at home as I hope it's gonna be hot when I get to my destination od Lake Garda. Thanks for the advice & links, I'll leave the jacket & pants inner liners at home and layer up with a fleece etc if it gets interesting in the hills! 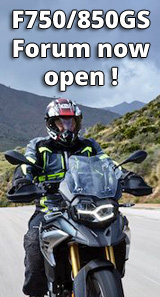 I took a look at some on-line stuff/advice already, been on a spending spree and think i've got the legally required stuff already such as high viz for me and the small footed one, GB sticker for reg plate, breathalyzers, helmet stickers (on my lovely new helmet FFS!) first aid kit, spare bulbs etc. Had Triumph adventure panniers a Givi 52L top box fitted, got a Givi Tankbag/rucksack - so hoping I'll get all my shizzle in there for the 2 weeks. I'm looking forward to taking a look at your ride report. Good luck with your trip Kempsy. As you'll know you have to pay tolls in France and Italy to use the motorways, but I havent seen anyone advising you that you need to get a Swiss vignette before using motorways these can be bought at the border for about £35. You only need it if youre on a motorway or other specific roads, but if you "stray" into Switzerland ( like I did last July) the stress of trying to keep off dual carriageways was not worth the cost...or fine if caught). Btw, crossing some of the higher passes in July in late afternoon evening was pretty chilly, but waterproofs add an extra layer! yeah, I forgot about the vingnette…. It's much, much easier and straight forward than you think, no really, it is. Just get on the road and play it by ear, you'll be fine and enjoy it a whole lot more than trying to over think or plan it. I'm always envious of you guys in Europe being so easily able to travel such relatively small distances but see so much in the way of different scenery, cultures and roads. Enjoy the trip. I leave liners at home. I take hiking clothes, all quick dry minimal bulk. If it's cold over the passes I wear the lightweight fleece & pants under my textiles. Never seen the locals with helmet stickers, they don't carry breathalysers, they say it was talked about but not made compulsory. I don't bother with either. I do carry all the other stuff mentioned by Walt. The rest of your route can be done without using toll roads, no need to buy a Vignette. 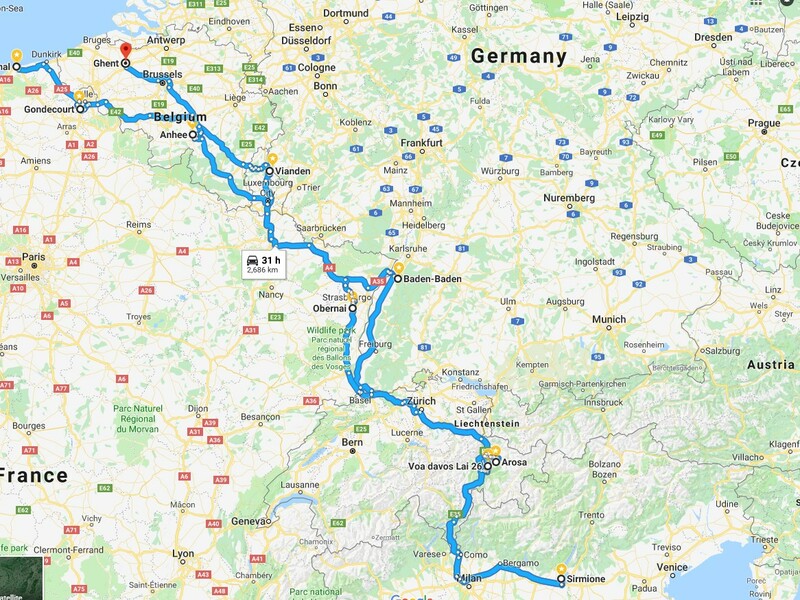 A good route from Baden-Baden is down the 500 past Titisee to Waldshut, it's a great fast road with lovely sweeping bends, the Germans favourite biker road. Plenty of caff stops. Sirmione & the area around it is very busy, picturesque town ideal for ferries to other resorts around the lake. Sounds a good trip, I'm sure you'll both enjoy it. Edit: I carry some emergency kit eg Cable inners & puncture repair. I plotted an almost identical route recently with the intention of visiting as many countries as possible, for both me and Mrs Zero. I have no idea of when I'll do it though, or whether I'd be better off with an Irish passport than a UK one when I do. Currently you can use the EHIC (IIRC) so you can get medical treatment if necessary. Your driving licence is also currently valid in the EU, and insurance will probably cover you (you may need to notify your insurance company). Depending on what happens at the end of March, you may need some other means of obtaining medical assistance, a driving permit of some description, and extra insurance, but at least you can have a blue passport.